Castaway Cottage from 5th November at £225 for 3 night or £295 for 5 night short break. Seashell Cottage from 7th November at £225 for 3 night short break . 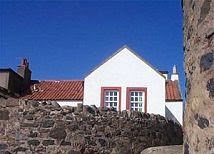 Weavers Hall from Sat 3rd November 2007at £225 for 3 night short break.